LTE technology offers high-speed capacity that not only brings efficiency to wireless broadband, but also supports an array of network applications, such as high-definition video streaming, high-quality online gaming, IP surveillance, live event broadcasts, venue casting, and much more. Emerging LTE-capable devices empower the development of more mobile devices, such as smart phones, smart tablets, laptops, automotive telematics, M2M gateways, IP cameras, home routers, and portable travel routers. LTE7480 employs 3GPP UE category 16 with downlink data rates of up to 573 Mbps through eight spatial streams on two carrier components. 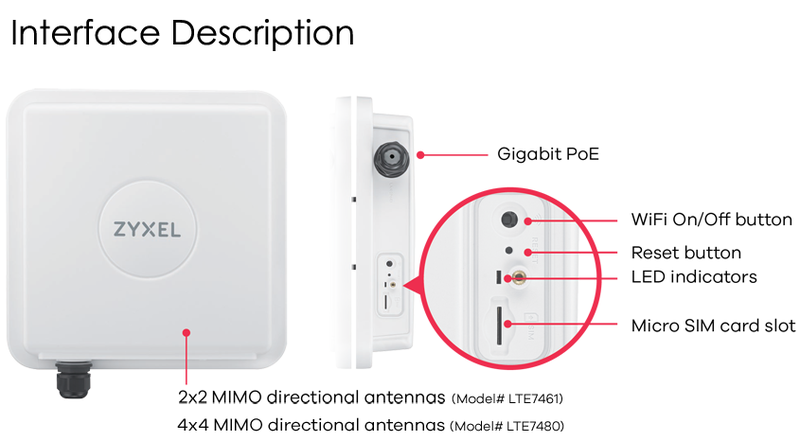 LTE7480 features a 4x4 MIMO, high-gain 10 dbi antenna; outdoor design enables the LTE7480 to work under near non-line-of-sight conditions to increase coverage and bandwidth. 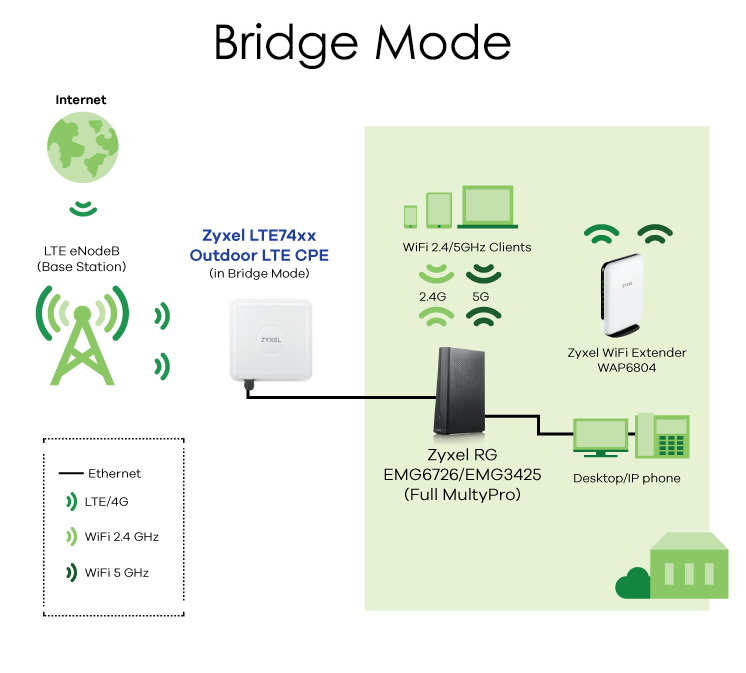 The LTE7480 supports bridge and router functions for flexible deployment; 802.3at PoE eliminates need for separate power source; IP66 hardened industrial grade enclosures for mounting in harsh environments; TR-069 and remote GUI management; remote throughput testing capability. 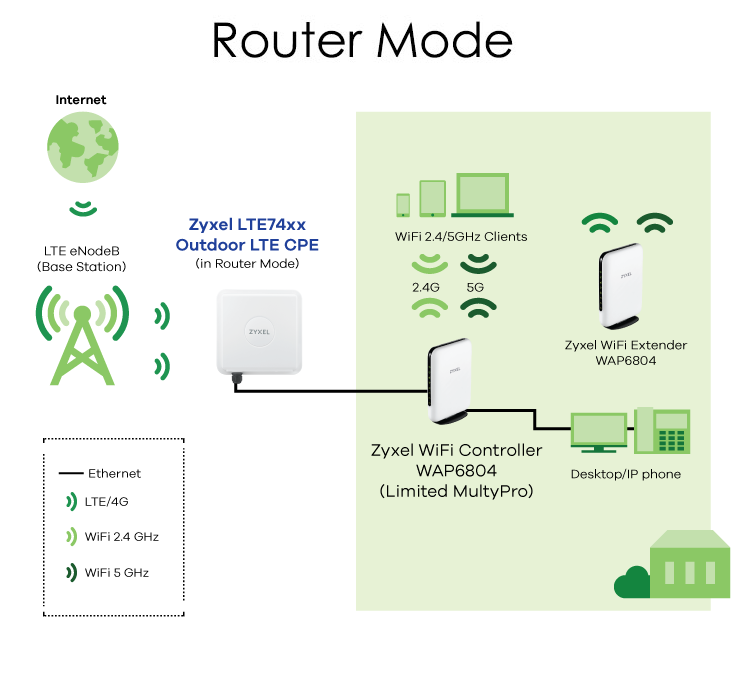 Wireless LTE provides multi-WAN fail-over without a cabling plan. 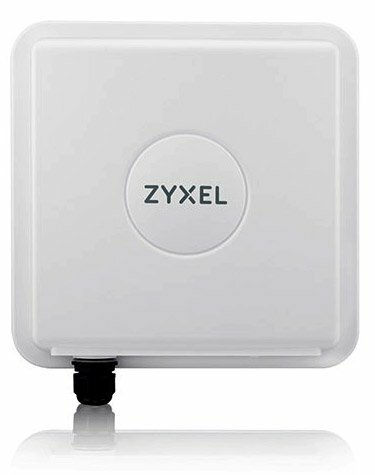 As long as the gateway supports multi-WAN fail-over, simply connect the LTE7480 to the existing gateway and set the LTE as the fail-over WAN. LTE7480 utilizes the Citizens Broadband Radio Service (CBRS) band to offer high-speed broadband using LTE technology. It enables network operators to cost-effectively provide high-speed connectivity to customers over last mile access.